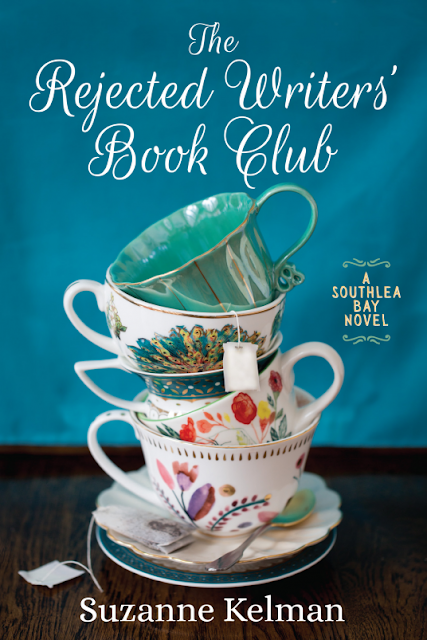 Librarian Janet Johnson is puzzled when she is invited—and practically dragged—to her first meeting of the Rejected Writers’ Book Club. This quirky group of women would much rather celebrate one another’s rejected manuscripts over cups of tea and slices of lemon cake than actually publish a book. But good friends are exactly what Janet needs after moving to the small town of Southlea Bay, Washington. Just as the ladies are about to raise a teacup to their five hundredth rejection letter, they receive bad news that could destroy one member’s reputation—and disband the group forever. To save the club, Janet joins her fellow writers on a wild road trip to San Francisco in search of the local publisher who holds the key to a long-buried secret. As they race to the finish line, they’ll face their fears—landslides, haunted houses, handsome strangers, ungrateful children—and have the time of their lives. This book is hilarious! I just love the slightly sarcastic slant of the story and lovable rejected ladies - as well as the characters they meet and mingle with on their road trip to San Fransisco. To say too much would ruin the story, but it has a fantastic plot and a cast of extremely likeable characters. A must read!